No need to speak about politics to evoke the “class struggle”, you just have to go to the Cannes Film Festival to attest it. For the common people who mainly follow the festival through the small screen, Cannes represents stars, glitters and films. Yet, once you get to the “Croisette”, war is declared. 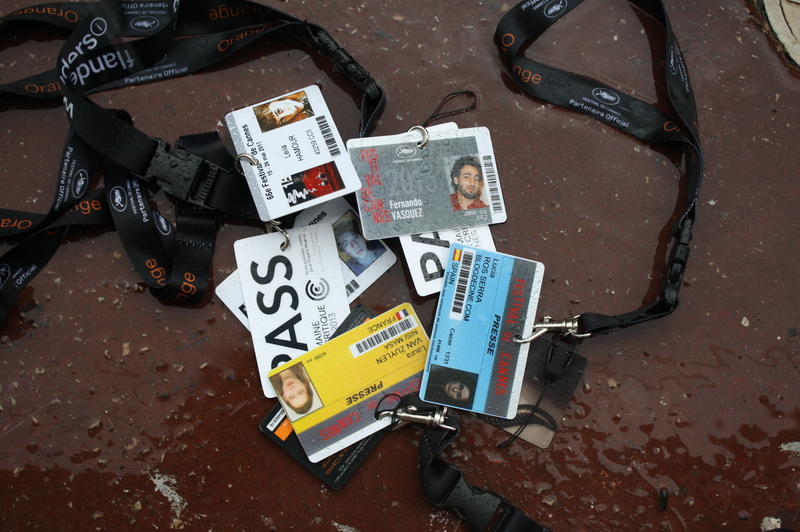 In Cannes there are accreditations and accreditations. Here, initially, people do not look in the eyes of each other when they meet, they look at the colour of the badge around your neck: what a wonderful world, the colours take the power; Yellow, orange, blue, pink, pink with yellow dots and in top of the hierarchy, white badges, which gives you access to all the projections and interviews in priority. The colour reflects your social status: if you are in the good category, you will get respectful looks, but if not, you will have to get used to the condescending, empathic and sorry eyes during the whole festival, without speaking of the never-ending queues which do not even guarantee you to get access to projections. But it is interesting, and to tell the truth amusing, to see at which point the festive people are ready to do anything to see a film, including pushing you discreetly into a plant to be able to get in front of you (this is veracious!). Cannes: the theatre of vanities. Cruel.